NOTE: Attached please find Kingsport Chamber logo and State of Your Kingsport Chamber Holiday Breakfast logo. KINGSPORT, Tenn. – The Kingsport Chamber will host its State of Your Kingsport Chamber Holiday Breakfast on Friday, November 30 at 7:30 a.m. at the MeadowView Marriott Conference Resort & Convention Center. The event is sponsored by ABC Tri-Cities; Anita’s Snack Foods; Appalachian Community Federal Credit Union; Appalachian Power; ARO; BAE Systems; Ballad Health; Bank of Tennessee; Bristol Motor Speedway; Carter-Trent; Chef’s Pizzeria; Cigna; Citizens Bank; Contour Glass; Cooper Standard; Domtar; East Coast Wings Grill; Eastman; Eastman Credit Union; First Tennessee Bank; Food City; GRC Construction/CainRashWest Architects; GRIFOLS; Hamlett-Dobson Funeral Homes; Honda Kingsport; Horizon Credit Union; J.A. Street & Associates; Mattern & Craig; News Channel 11; New Peoples Bank; Powell Valley National Bank; Preston Place; Regions Bank; Rodefer Moss & Company; Tele-Optics; The Blake at Kingsport; The Regional Eye Center; The Village at Allandale; Town Park Lofts; Tranquility on Center Salon, Spa & Boutique; VIPSeen Magazine; Volunteer Painting & Remodeling; and WorkSpace Interiors. 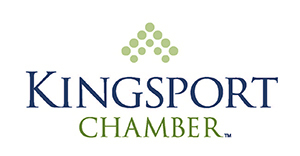 Outgoing Kingsport Chamber chair Bob Feathers, president of WorkSpace Interiors and owner of East Coast Wings Grill, will showcase some of the organization’s many achievements from the past year and incoming Kingsport Chamber chair Lori Payne, controller for Contour Glass, will preview the organization’s plans and goals for 2019. In addition, the Kingsport Chamber’s most prestigious honor, the Lifetime Member Award, will be presented. There is no cost to attend for Kingsport Chamber members but an R.S.V.P. is required. The price to attend for non-members is $25. To R.S.V.P., please contact Nora Davis, Kingsport Chamber communications and events coordinator, at 392-8827 or via e-mail at ndavis@KingsportChamber.org. Please R.S.V.P. by Wednesday, November 28, 2018. The Kingsport Chamber 72nd Annual Dinner is Friday, February 1, 2019, at 6 p.m. at the MeadowView Marriott Conference Resort & Convention Center. Tickets will go on sale in January.